Start butterfly pose by sitting on the floor, or a cushion. Bring the soles of your feet together & try to to sit up as straight as you can. To make butterfly pose more challenging, sit on the floor with your feet together as above. Then take hold of your big toes with your index fingers. Balance on your bottom, and lift your legs up one at a time. For a greater challenge, try to lift both legs at the same time! 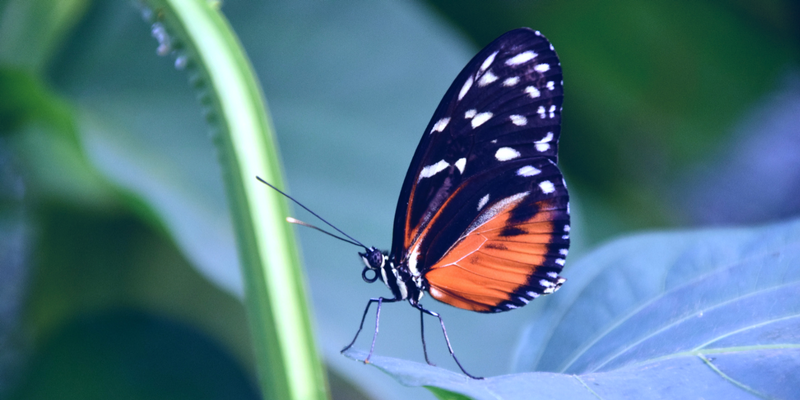 Slowly straighten your legs like the wings of a beautiful big butterfly. To rest, lean forward over your feet like a sleeping butterfly. 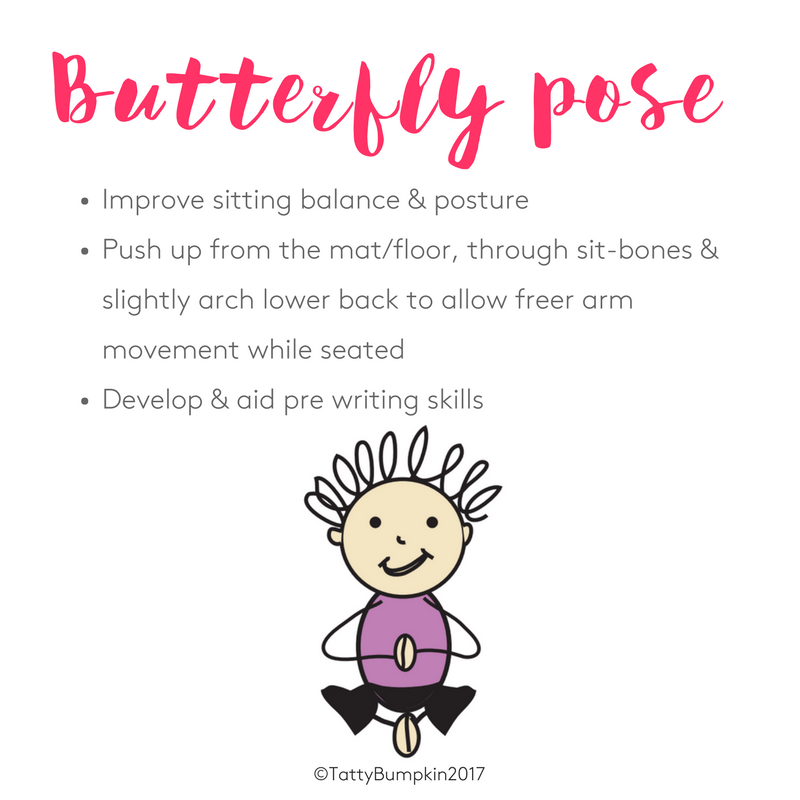 Through the magic of a Tatty Bumpkin class, butterfly pose can become both a multi-sensory and an educational activity. In Tatty Bumpkin classes we aim to stimulate a variety of senses, to add to the fun, give choice & help the learning process. Tatty Bumpkin will be doing BUTTERFLY pose as part of her adventure into the mountains. She will be off on a quest to find the calming and happy butterflies to cheer up the gloomy frogs and calm the busy people! Wrapping the pose inside a story, makes it more meaningful (& more fun of course).